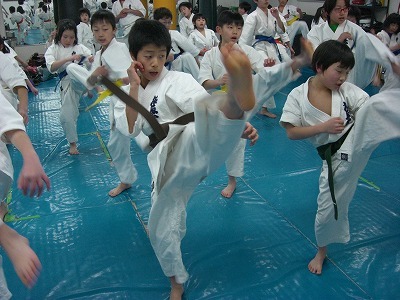 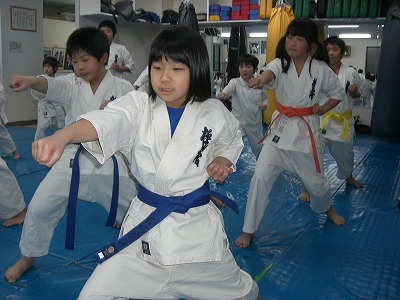 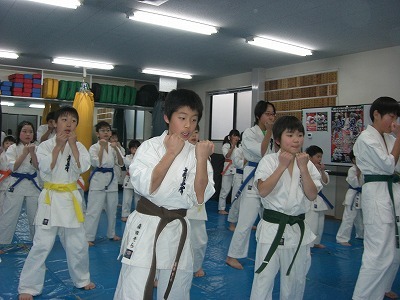 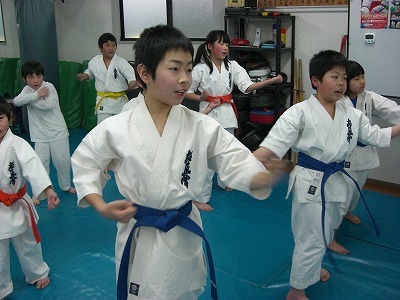 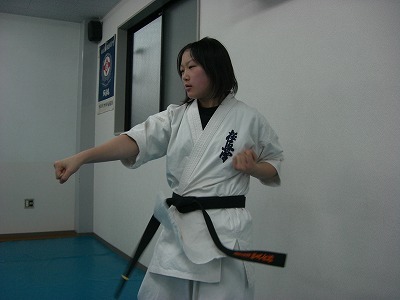 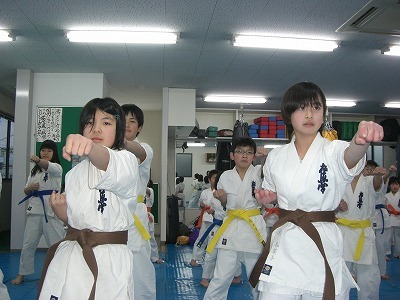 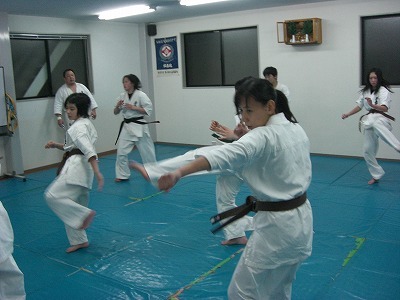 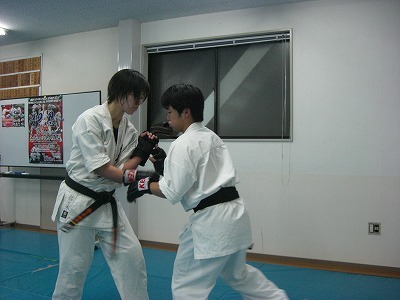 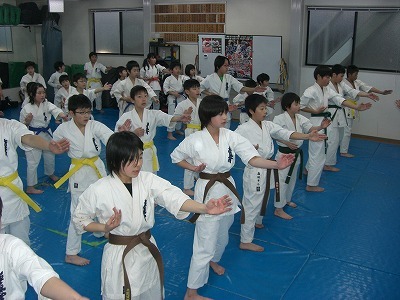 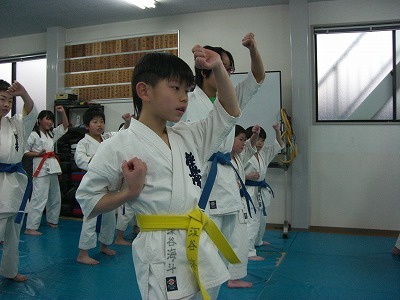 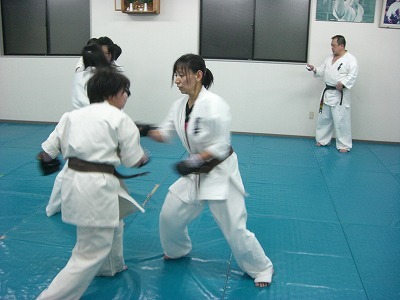 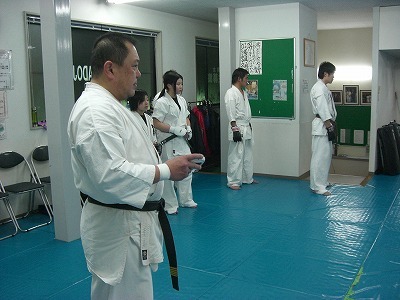 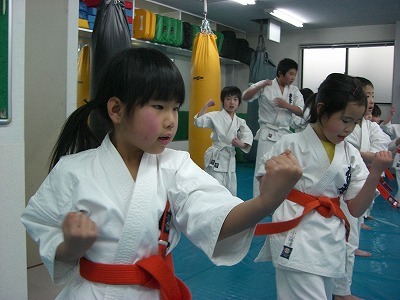 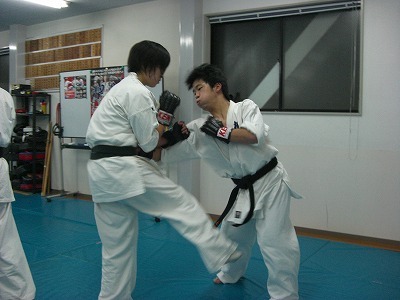 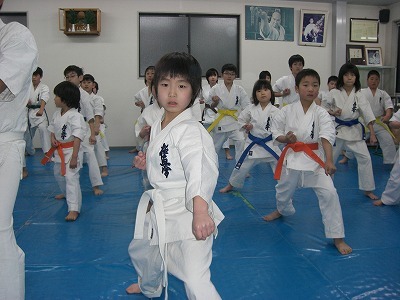 Black-belt holders, fifth-graders, demonstrate their techniques,starting with Gassho. 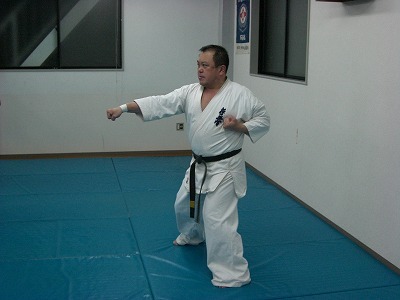 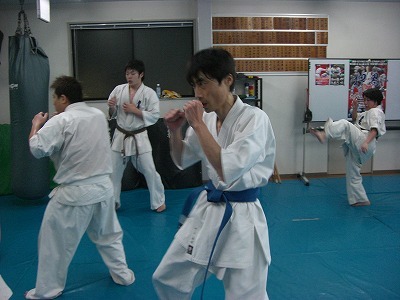 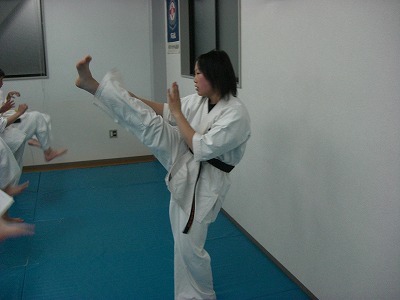 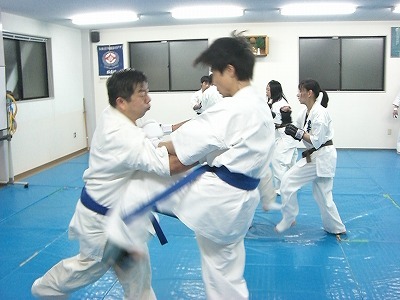 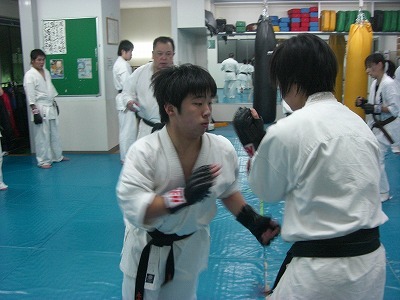 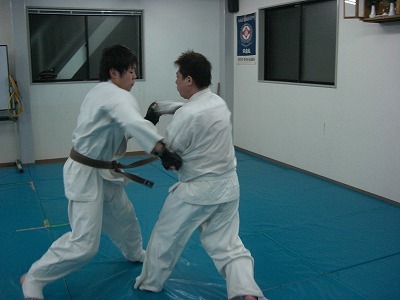 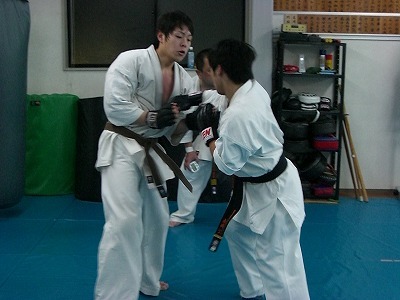 Shorinji Kempo has both offensive and defensive techniques. 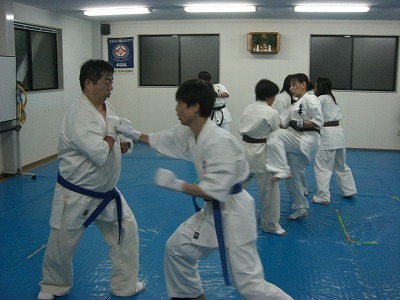 Their techniques continue in series. 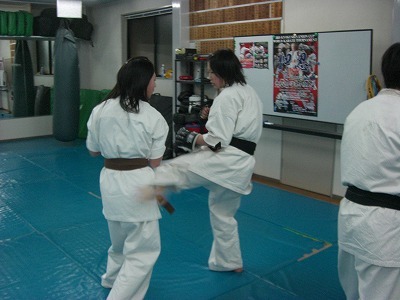 Being kicked is the beginning of counter-kicking. 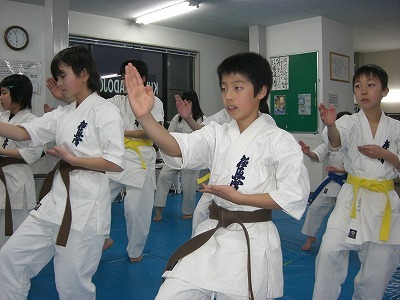 They have many dojos in 34 countries in the world.